EVERETT, Wash., October 12, 2017 – Snohomish County has openings for volunteers on two important advisory groups: the Tourism Promotion Area (TPA) Board and the Lodging Tax Advisory Committee (LTAC). Three members are needed for the TPA Board and two members for the LTAC. Assessment revenue from the Tourism Promotion Area (TPA) generates approximately $1 million annually for projects which drive overnight stays and economic development in Snohomish County. The TPA Board helps decide where and how the money is spent. The Snohomish County Lodging Tax Advisory Committee (LTAC) has two vacancies for representatives from agencies or activities eligible to receive lodging tax funding under RCW 67.28.187. The LTAC was established to review and make recommendations on grant applications for funding from Snohomish County lodging taxes. Advisory committee member recommendations are submitted to the County Council for final funding approval. 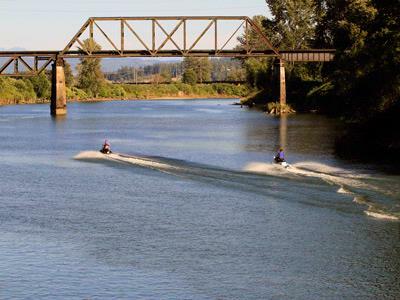 These projects promote tourism and job growth in Snohomish County. The advisory committee shall consist of at least five members, each appointed by the Snohomish County Council. Committee membership shall include equal membership from representatives of businesses required to collect tax under RCW 67.28.187; and persons involved in activities authorized to be funded by lodging tax revenue received; and ex officio (non-voting) member who is an elected official of a city or town in Snohomish County. Board membership nominations can come from representatives of businesses collecting tax and persons involved in activities to be funded by lodging tax. The LTAC chair is a County Council member and the County Council appoints members to the LTAC. The LTAC meets three to four times per year with additional meetings convened as needed. A meeting is held in the fourth quarter of the year to assess the annual Hotel/Motel Small Grant Fund applications and requires committee members to review the applications prior to the meeting. Membership will be reviewed annually to ensure appropriate representation. If you are interested in one of these TPA or LTAC positions, please submit an application at https://snohomishcountywa.gov/3339/Current-Openings . If you have any questions, please contact Carol Peterson at Carol.Peterson@snoco.org or 425-388-6605.